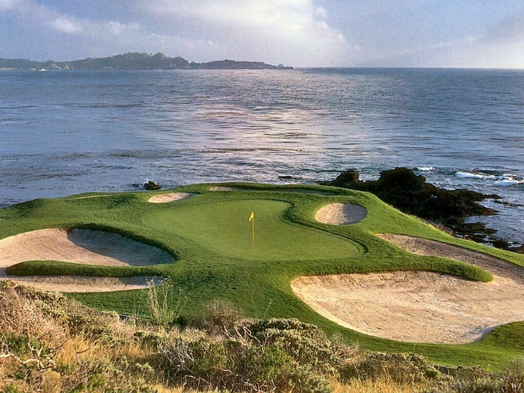 There are few golf thrills like teeing-up for the first time on Pebble Beach Golf Links. You sense the presence of golf's biggest legends. You anticipate each and every storied hole while recounting some of the greatest moments in golf history. Pebble Beach Golf Links has been the site of golf's most prestigious tournaments, including the annual AT&T Pebble Beach National Pro-Am, and five U.S. Open Championships including the 2010 U.S. Open. We are excited and honored to welcome back the U.S. Open to Pebble Beach for the sixth time in 2019! Every golfer deserves to play "Pebble" at least once in his or her life. There’s no time like the present. Spyglass Hill Golf Course takes its theme from Robert Louis Stevenson's classic novel, Treasure Island, published in 1883. Local legend maintains that Stevenson once wandered the Spyglass area gathering ideas for his novels. With this in mind, Robert Trent Jones Sr. set about creating a treasure of his own. 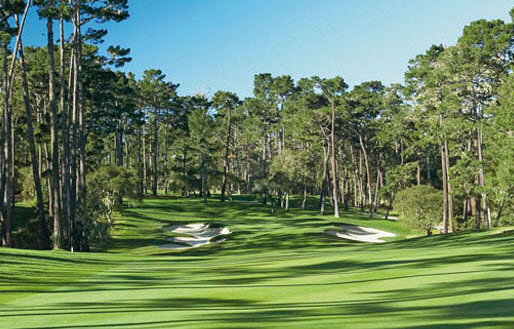 Spyglass Hill Golf Course is rated one of the toughest courses in the world from the Championship tees, boasting a course rating of 75.5 and a slope rating of 147. 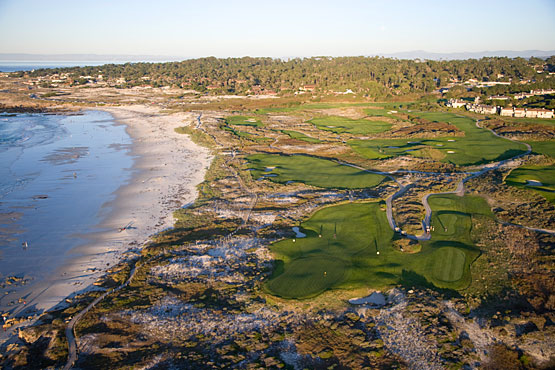 The PGA TOUR consistently lists Spyglass Hill's holes 6, 8 and 16 among the toughest on the TOUR, and during the 1999 United States Amateur, the stroke average of the field during medal play was in excess of 79. Spanish Bay recalls the original Scottish concept for the game of golf, established over five hundred years ago. This was the intention of the design team, Robert Trent Jones Jr., Tom Watson and Sandy Tatum, in their creation of a true links golf course. Links is an old Scottish word for sandy wasteland, usually near the sea, with bristly grasses and ever prevailing wind. The Links at Spanish Bay are so authentic that even the Monterey coastline mirrors the rugged, natural beauty of Scotland. 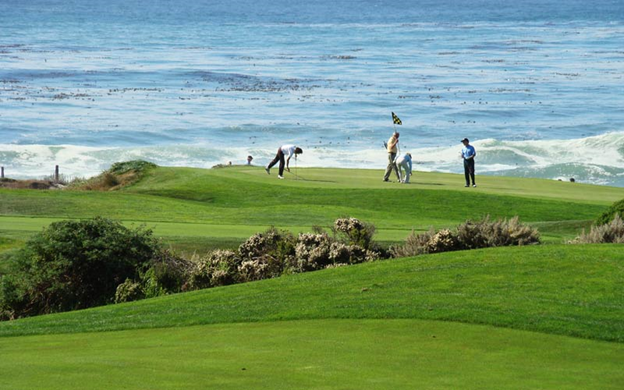 The Links at Spanish Bay was also built with a deep respect for environmental preservation. To further continue this mission, we have designated "environmentally sensitive" areas. Drops are allowed outside of these areas, so we ask for your understanding and cooperation to help us preserve the native plants, birds and animals that make this course so special. Guest rooms of The Lodge at Pebble Beach are traditionally styled, tastefully appointed and invitingly comfortable. Of the 161 luxury rooms, most include a wood-burning fireplace. From your patio or balcony, you’ll enjoy stunning views of flowering gardens, ocean-side fairways or magical sunsets over Carmel Bay. All guest rooms include LCD flat-panel televisions. Complimentary wireless Internet is also provided in all rooms and common space throughout The Resort. Plush towels and robes, and The Spa Collection shampoos, soaps and lotions enhance your stay. Garden View rooms feature a wood-burning fireplace and either an outdoor patio or a balcony overlooking private gardens. The rooms are approximately 550 sq. ft. Most Garden View rooms come with two queen beds; some come with a single king bed. All beds are made up with luxurious 300 thread count Egyptian cotton sheets. Bathroom amenities include: The Spa Collection shampoo, conditioner, body wash and body lotion; and two signature microfiber robes with cotton terry cloth on the inside. Fairway View rooms feature a wood-burning fireplace and either an outdoor patio or a balcony overlooking the first fairway of Pebble Beach Golf Links. The rooms are approximately 550 sq. ft. Most Fairway View rooms come with a single king bed; some come with two queen beds. All beds are made up with luxurious 300 thread count Egyptian cotton sheets. Bathroom amenities include The Spa Collection shampoo, conditioner, body wash and body lotion; and two signature microfiber robes with cotton terry cloth on the inside. Partial Ocean View rooms feature a wood-burning fireplace and a balcony with partial views of Carmel Bay as well as landscaped gardens below. The rooms are approximately 550 sq. ft. Most Partial Ocean View rooms come with two queen beds; some come with a single king bed. All beds are made up with luxurious 300 thread count Egyptian cotton sheets. Ocean View rooms enjoy panoramic views of the famed 18th fairway at Pebble Beach Golf Links and Stillwater Cove beyond. Most have an outdoor patio or balcony, a marble bathroom and wood-burning fireplace. The rooms are approximately 475 sq. ft. Most Ocean View rooms come with two queen beds; some come with a single king bed. All beds are made up with luxurious 300 thread count Egyptian cotton sheets. Ocean Studio rooms feature a wood-burning fireplace and panoramic ocean views. The rooms are approximately 600 sq. ft. Studio rooms come with a single king bed made up with luxurious 300 thread count Egyptian cotton sheets. Garden Spa rooms feature a wood-burning fireplace and an outdoor whirlpool spa on a private brick patio. The rooms are approximately 600 sq. ft.
All Garden Spa rooms come with a single king bed made up with luxurious 300 thread count Egyptian cotton sheets. Deluxe one-bedroom suites are located in the Main Lodge, Sloat, Vizcaino, Fremont and Alvarado buildings. They have a spectacular ocean view, a separate parlor that includes a seating area, an entertainment system, a deep-soaking whirlpool tub and a separate bedroom. Several feature a wood-burning fireplace. The rooms range between 899-1306 sq. ft. The one-bedroom suites come with a single king bed made up with luxurious 300 thread count Egyptian cotton sheets. The Pacific Ocean. Del Monte Forest. 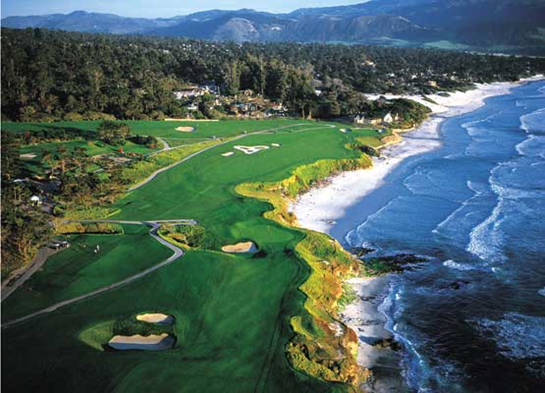 These two magnificent realms converge only one place on earth—Pebble Beach Resorts. The Spa at Pebble Beach celebrates this combination with signature services that incorporate the healing properties of plants, herbs and minerals indigenous to California’s Monterey Peninsula. We invite you to relax, rejuvenate and revitalize your body and spirit at our 22,000 square-foot, full-service spa and salon nestled in the heart of Del Monte Forest, adjacent to Casa Palmero and near The Lodge at Pebble Beach. Choose from a variety of spa services designed to reduce stress and enhance balance including massages, body scrubs and wraps, water treatments, skin care, nail care and hair care. Continue to re-energize your body at The Spa Juice Bar & Cafe, enjoy a refreshing beverage or light meal to complete your spa experience. Our professional staff is trained to help you select appropriate services and to provide impeccable personalized service for an experience that exceeds your expectations. Contemporary. Fresh. Delightful. Three adjectives that perfectly describe Stillwater Bar & Grill at The Lodge at Pebble Beach. Stillwater Bar & Grill prides itself in offering the freshest and most flavorful in sustainable seafood and organic produce. Whether it’s breakfast, lunch or dinner – or the Stillwater fabulous and famous Sunday Brunch – the menus are sure to delight and amaze. Shellfish lovers will marvel at the bountiful seafood bar and many choices of fresh oysters, clams, scallops, prawns, abalone and lobster. For those who prefer turf to surf there is the mouth-watering filet mignon and savory rack of lamb. After 18 holes, you’re bound to have a hearty appetite. 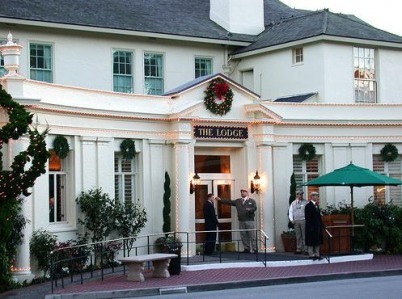 Satisfy it in the warm tavern atmosphere of The Tap Room at The Lodge at Pebble Beach. The Tap Room is a wonderful watering hole with a great selection of draft and bottled beers, vintage wines and top quality spirits. It’s also a world-class steak house serving up hearty All-American fare, from burgers to prime rib to filet mignon. The Tap Room serves only the finest, hand-selected prime and certified Angus beef, grilled to perfection in a high intensity Montague broiler and topped with our famous ale butter. 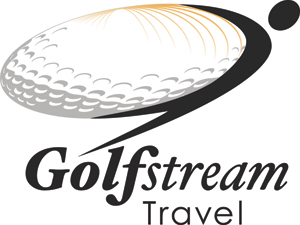 Renowned for its extensive collection of prized golf memorabilia, The Tap Room is a comfortable and inviting place for watching televised sporting events or recounting your successes on the course. The Bench at The Lodge at Pebble Beach delivers an eclectic menu inspired by international styles and methods, using the innovative technique of wood roasting and open-flame cooking. Offering incredible views of the greatest finishing hole in golf, The Bench is designed with an open-air atmosphere and includes an expansive dining room surrounding a lively bar, glass-enclosed conservatory and outdoor dining with fire pits. Chef Yousef Ghalaini, most recently executive chef of Imperial No. Nine in New York, prepares sophisticated dishes utilizing simple ingredients and bold flavors. Guests can also enjoy one-of-a-kind craft cocktails, as well as an array of draft beers and wines by the glass. The name of the restaurant, “The Bench,” symbolizes an iconic location overlooking the 18th hole where the current ownership group agreed to acquire Pebble Beach in 1999. A commemorative bench has been placed adjacent to the restaurant, honoring the vision of the owners to preserve the national treasure for future generations. A rich history. A storied past. A celebrated place. 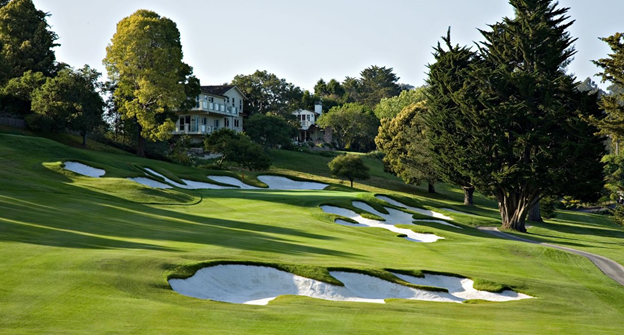 Since 1919, The Lodge at Pebble Beach has been a legendary California haven for discerning clientele. From the moment you walk through the door, you are welcomed with impeccable service and comfortable elegance. There is an ease about our grandeur that stems from our storied past. The Lodge at Pebble Beach envelopes the 18th green of the Pebble Beach Golf Links, one of the most exciting closing holes in golf. The anticipation, passion and camaraderie of some of the best moments in golf echo through our halls and grounds. Your stay at The Lodge at Pebble Beach will enchant you with attentive hospitality, stately architecture and a glorious ocean-side setting. Spacious guest rooms feature wood-burning fireplaces and stunning views. Our Central California coast location is nestled between Carmel and Monterey, a short drive from San Jose. Come create your own special memories at The Lodge.